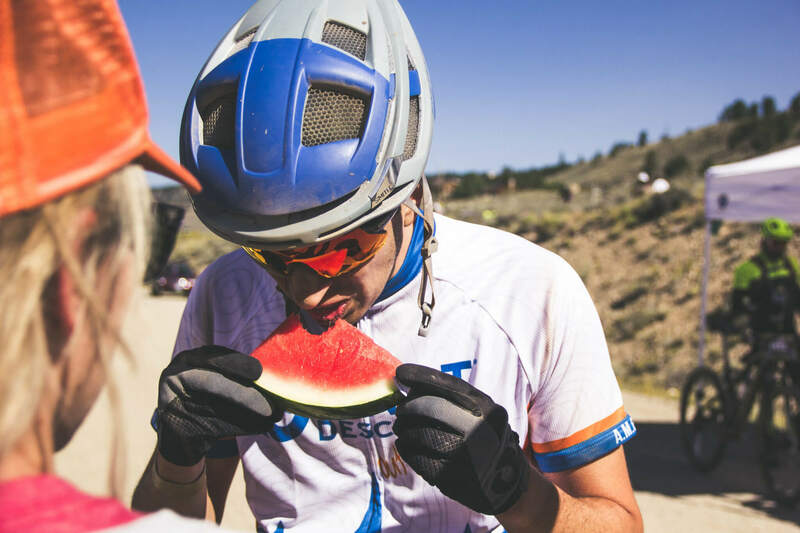 The past summer marked the 12th year that men and women would push their bodies to extreme physical limits in the Leadville 100 series in support of First Descents. Located in the beautiful area of Leadville, Colorado, the course winds through 100 miles of wild elevation gains (an unbelievable 14,000 ft!) 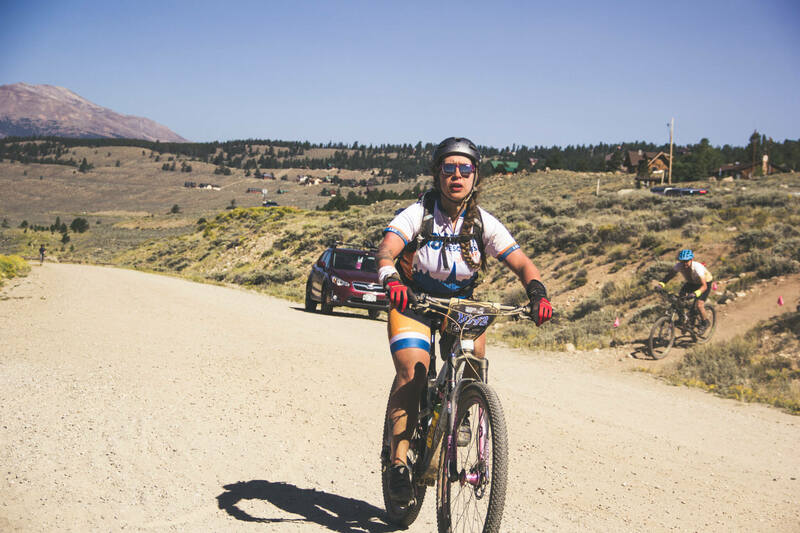 while reaching heights of 12,600 ft. For the events, FD fielded two teams: a team of 22 mountain bikers who raced on August 11th and another team of 13 runners that competed on August 17th through the 18th. These two teams of super-humans raised over $100,000 towards providing free outdoor adventure programs to young adults impacted by cancer. The mountain bike team raised an more than $70,000 during this event, and their race times are nothing to be overlooked either. A few of the FD racers finished in the top 50 out of 1,538 bikers finishing the race in under 8 hours–an awesome feat–these racers include Justin Mauch and Mike Staffieri. Our 2018 Leadville team was once again sponsored by Primal, a storied partner of First Descents, and the leading provider of high quality cycling kits for both recreational and competitive riders. A number of Team FD’s racers have been involved with FD in the past or have competed in the Leadville 100 MTB before. 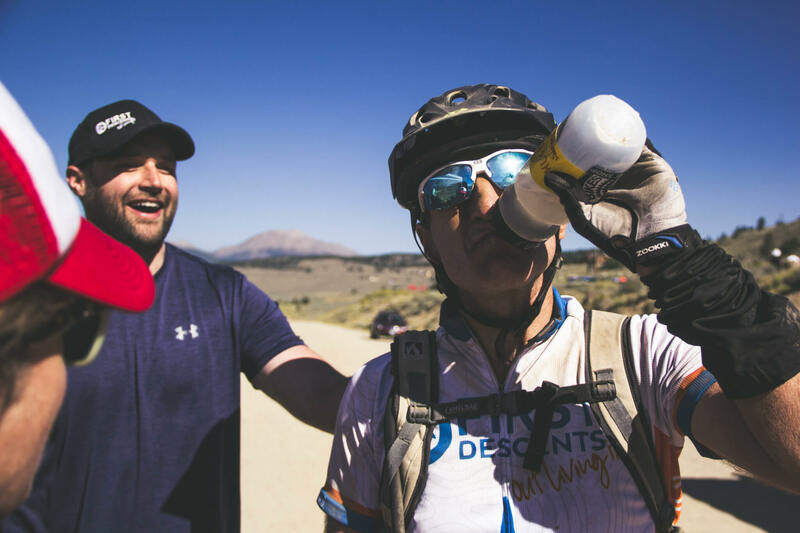 First Descents’ Board Chairman Brent Goldstein completed his Tour Divide Out Living It Project fundraiser just weeks before his 12th Leadville 100 MTB. On his Tour Divide, Goldstein biked from Banff, Canada to Mexico through the Rockies for First Descents and raised over $185,000 for his 5 week journey through the country. Goldstein is a devoted supporter of First Descents, and he competes annually in honor of his good friend Allan Goldberg who was deeply committed to his role as Executive Director at First Descents while fighting a tough battle with cancer in 2006. Goldberg passed away in 2008 but many have been fueled by his passion and have continued his legacy in supporting cancer philanthropy. In past years, athletes from the ultra running community have run for First Descents at the Leadville 100, but only on an individual basis. This August was the first year FD has competed with an entire team of runners for the Leadville 100 Run. Some of these runners include Stacey Buckley, Curt Johnston, and Kevin Bokoski. Both events in the series have cut off times so not only do these athletes have to travel a grueling distance of 100 miles but they must also be timely. The Leadville 100 MTB starts at 6:30, the first cut off is at 3:30pm and the final cut off is 6:30pm giving racers 12 hours to finish. For the run, athletes line up to start at 4:00 am on August 17 and are alloted 30 hours to finish the course. As summer comes to a close, we can’t help but reflect on the incredible #OutLivingIt spirit that our Leadville runners and riders have embodied. Their fundraising, physical toughness, and mental fortitude are truly remarkable! A big thanks to all those who have participated in the OUt Living It Project supporting First Descents all summer long. Looking forward to a Fall & Winter of adventures! To start your First Descents Out Living It project, visit our website and learn how you can give the healing power of adventure to young adults impacted by cancer.